Greetings from Ruth and Doug Broadfoot and welcome to our website. We are located near Lynchburg, Virginia and have owned and bred whippets for more than 40 years. 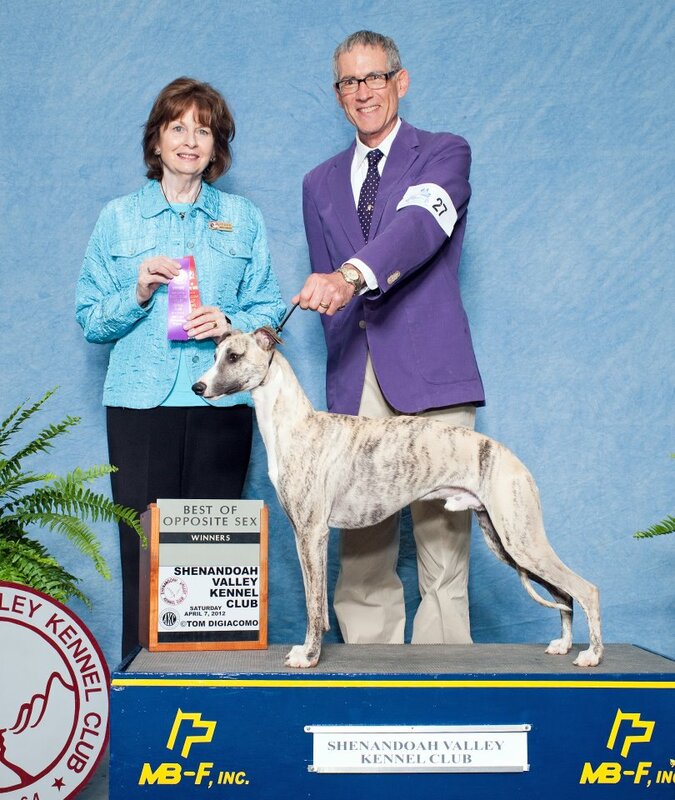 We mostly enjoy showing our whippets in conformation and we participate occasionally in racing and lure coursing.​​ We have had significant success with our breeding program over the years. We continue to breed on a limited basis and sometimes have puppies and young adults available to qualified homes.